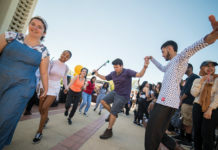 When the first Beyond R’ Margins conference was created in 2015 by then-CHASS Senator Dalshawn Boson, ASUCR Vice President of Internal Affairs, Jose Cortez-Hernandez, explained that it was meant to “bring awareness to the issues marginalized communities face on and off campus.” Since then, ASUCR has made the conference into an annual event. On Friday, April 5, ASUCR hosted the fourth annual Beyond R’ Margins conference at 11 a.m. in HUB 302 South. 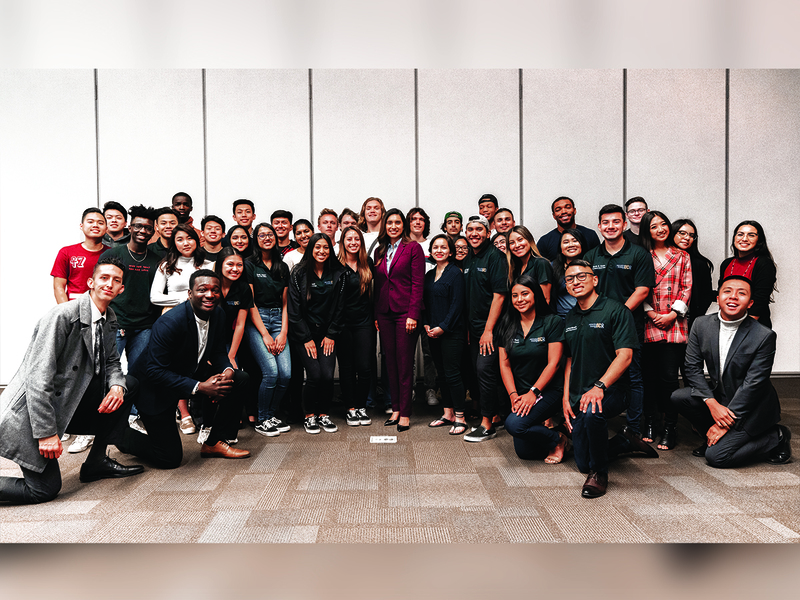 The first keynote speaker at the conference was California Assemblywoman for the 60th District Sabrina Cervantes who spoke about her background and her motivation for making sure marginalized groups are represented in state politics. “This last election showed us that people are ready for a change, that voters are ready. They are okay seeing millennials come up into office and take these positions of power. That politics is for women as it is for men,” Cervantes stated as she referenced to the latest California election in November 2018. Cervantes was chosen as one of the keynote speakers for being a UCR alum and advocating for Latino and LGBT communities in politics. Riverside City Councilman Andy Melendrez was the second keynote speaker of the day. Melendrez was asked to speak at the conference for his work in securing funding for the UCR School of Medicine and for leading the improvements on University Ave. In his address to the conference, Melendrez spoke about the challenges he faced while advocating for marginalized communities within City Council. In an interview with the Highlander, Melendrez discussed how it is important for students to acknowledge the impact made by elected officials and to vote for people who can represent their voice. “I’m 65 years old and when I look back, we did not have that kind of representation. To me, when I see a lot of youth that will carry values that will carry on to the council, (they will) represent not only themselves but also understand the importance of engaging community,” Melendrez commented. The last keynote speaker was photographer Noah Dillon, who along with Luka Sabbat co-founded the multimedia exhibition Hot Mess. The exhibition is a comment on the current generation’s tendency to do things at the last minute, leading to spontaneity and creativity. Jorge Delgado, a third-year computational math major and the conference’s planning director, chose Dillon to speak at the conference for its connection to social justice. “To get things done, it has to be a hot mess. It’s hard to get things done when planning to a T, so a lot of it has to be free-flowing and creative,” explained Delgado. In his address to the conference, Dillon shared his journey from being an unhappy college student in Colorado to leaving for Los Angeles in pursuit of his passion for photography. Dillon shared how he was inspired to pursue his work as a photographer after seeing an article listing the top 20 young creatives. “(They were) people my age, and they were doing really cool stuff. I had no idea that was possible,” explained Dillon. He also shared how he began to work in Hollywood and collaborated with Sabbat on projects. 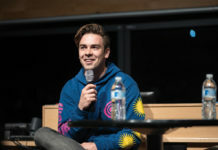 Additionally, while on stage, Dillon facetimed some of the people he’s worked with such as Sabbat, Virgil Abloh and Lexie Jiaras to share advice on millennial entrepreneurship. Due to time constraints, the scheduled breakout sessions were cancelled and the conference ended with a performance from UCR student band Blueseason. One of the projects ASUCR is hoping to realize next year is securing funding to create a Beyond R’ Margins scholarship to encourage social activism among students. The idea is that the finalists for the scholarship would be UCR students who would be “deemed to have gotten beyond their margins” as explained by Delgado. The finalists would then be keynote speakers or present a research/capstone project at the conference. 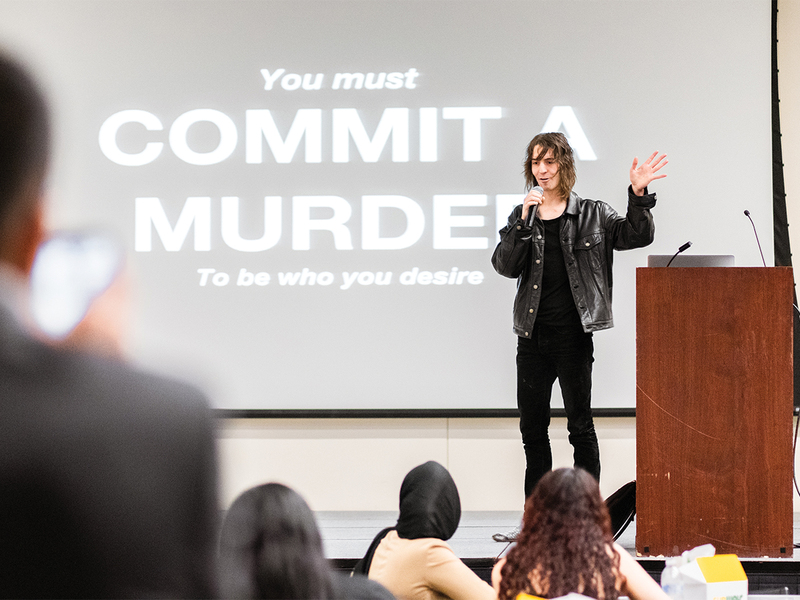 Since its creation in 2015, the Beyond R’ Margins conference has grown to bring awareness to marginalized communities through speakers to inspire students to take action and advocate for others and themselves.